Originally founded in Austria, Helmut Lang is a fashion brand for men and women that is now headquartered in New York City. Here, you can shop from plenty of high-end pieces for both men and women, including clothing, accessories, and footwear. With Big Apple Buddy’s personal shopping service, you can now buy direct from the Helmut Lang online store anytime, anywhere. The Crypsis Print Silk Dress is a silk strapless dress with a stunning and sleek graphic print detail. You’ll enjoy having this piece in your closet: it’s simple enough to wear on different occasions, but the striking print and fine material will help it stand out from all your other dress options. This strapless dress ends around the middle of the calf, so you can wear it during warm weather, or if it’s a bit cooler throw a jacket over it and you’ll have an equally stunning and comfortable look. 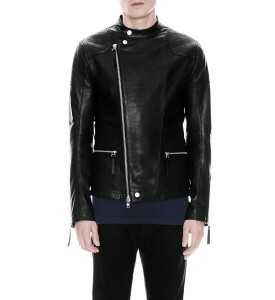 There are plenty of great and high-fashion options for men at Helmut Lang as well. This Leather Rider Jacket is made of 100% cow leather and has quilted details, which give it a refined and edgy look. This jacket will certainly help you stand out, and it’s also a versatile piece that will keep you comfortable during brisk fall and winter weather. With minimal details, this jacket is simple enough to match with anything in your closet, but just edgy enough to make a statement. 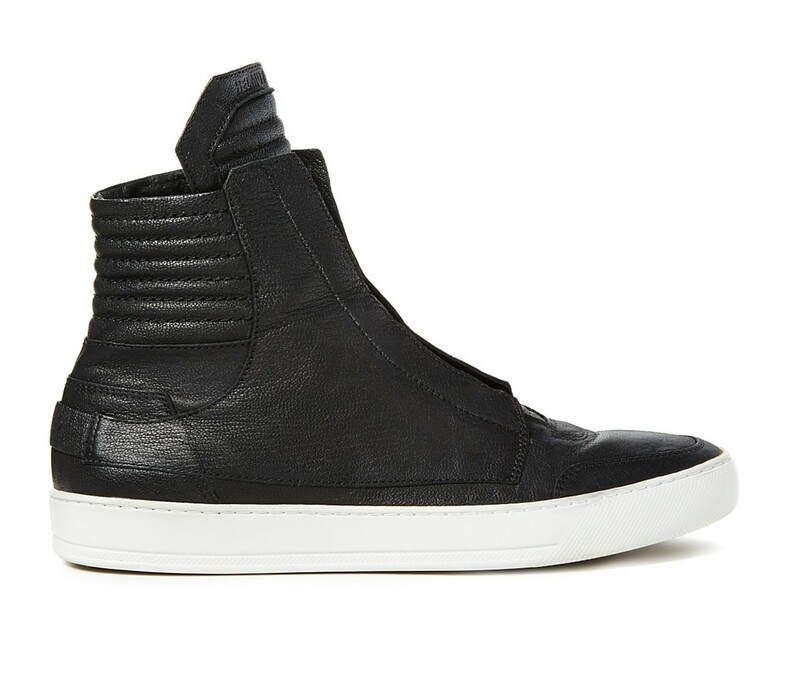 You can also shop for footwear for both men and women at Helmut Lang’s online store. These Textured Leather High Tops for men are made entirely of calfskin leather and are a comfortable and edgy footwear option. These shoes come in both black and white leather, so choose which color best goes with your wardrobe! Unfortunately, the USA Helmut Lang online store does not currently offer international shipping. However, Big Apple Buddy, your personal shopper, can help you buy products direct from the official USA Helmut Lang online store and ship them to your doorstep, no matter where you are in the world. If you would like to buy from the USA Helmut Lang online store, simply let us know which items you would like to order (by filling out the form below) and we’ll get back to you with a free international shipping quote within 24 hours!